How to make AMAZING outdoor lights! 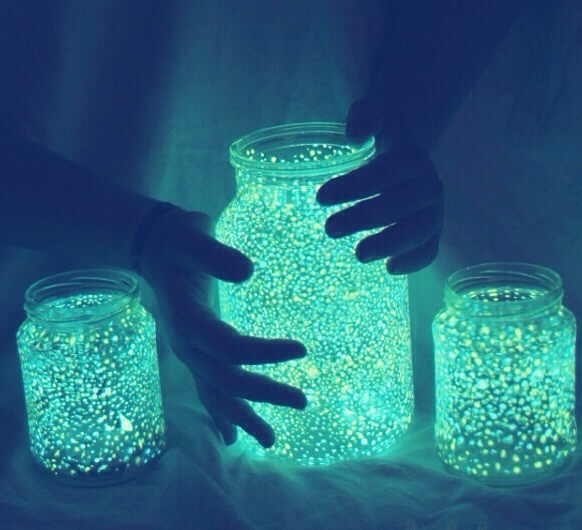 Take an empty jar pour in a pot if glitter about half full, open some flow sticks and pour in the liquid then close the jar and shake rapidly for a few seconds. You have your very own fairy night light perfect for the garden! Fun for all the family!